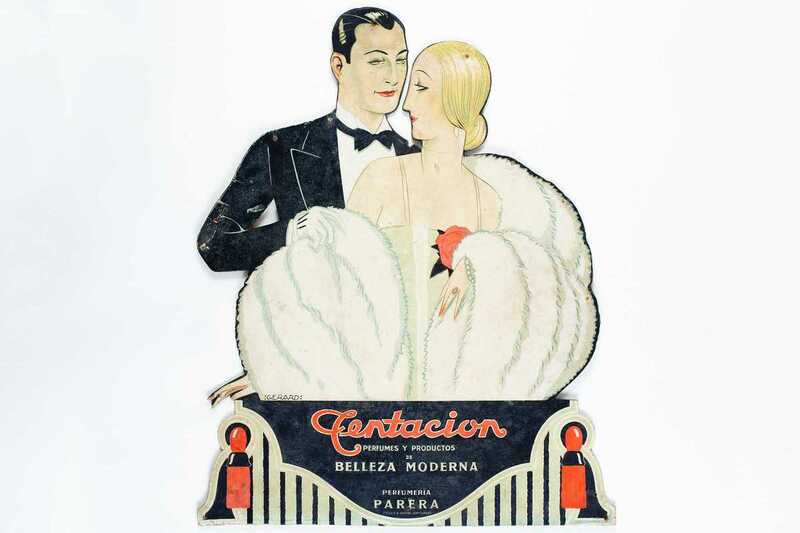 The Design Museum of Barcelona presents a collection of 250 pieces of advertising ephemera from the end of the 19th century to the middle of the 20th. 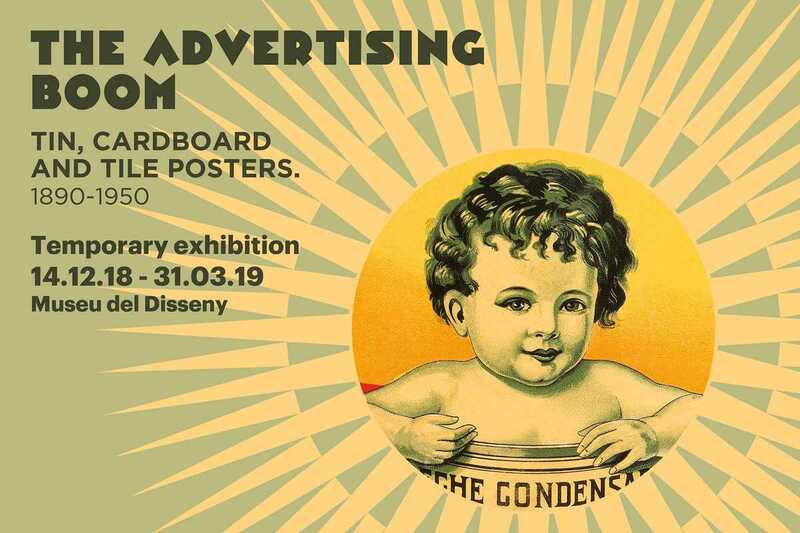 The selection of works, by both celebrated and anonymous designers, showcases commercial advertising of everyday products like food, wines, pharmaceuticals and tobacco. 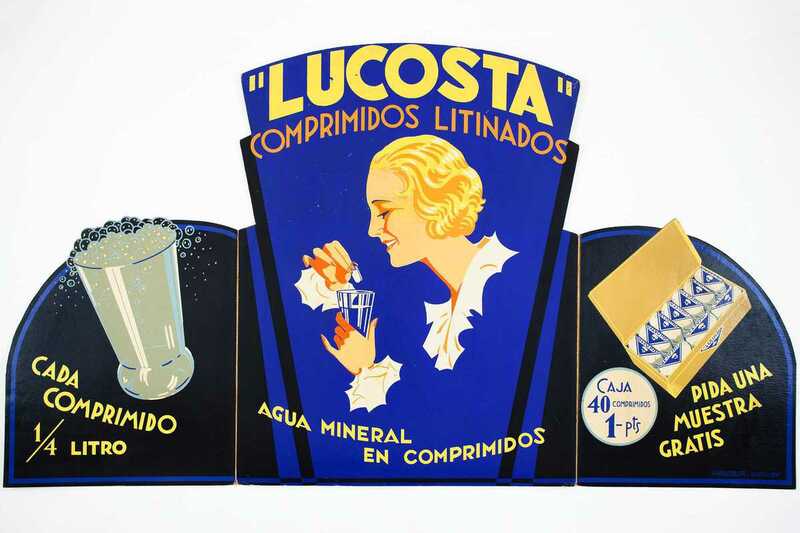 Besides paper posters, the exhibition highlights how advertising adopted other substrates like tin, cardboard, and ceramic tile for signage. 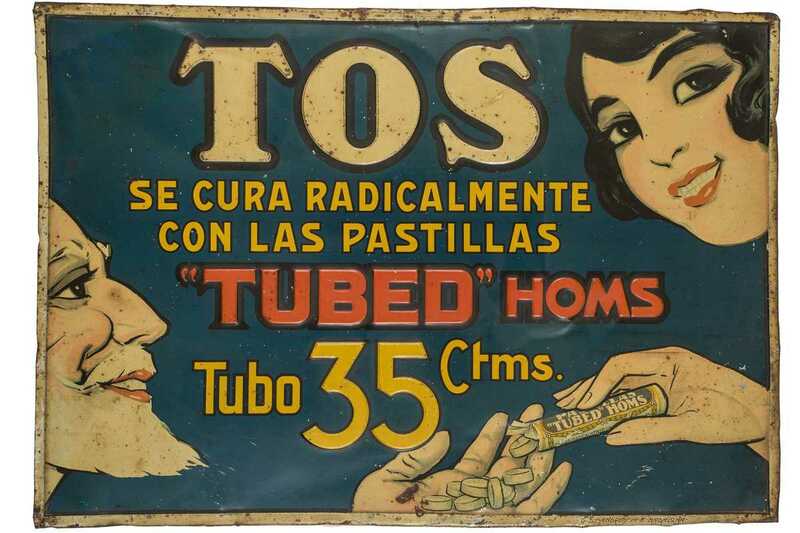 This led to a broader distribution of the ads, particularly over counters, in shop windows and perhaps most emblematically, outdoors on the façades of buildings. 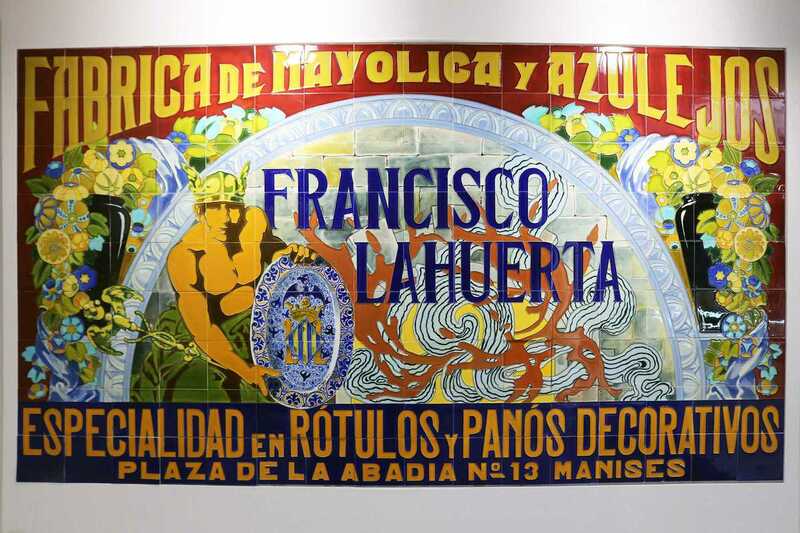 Over time, large eye-catching marketing messages often become landmarks, affording them special significance to a town or city’s residents. 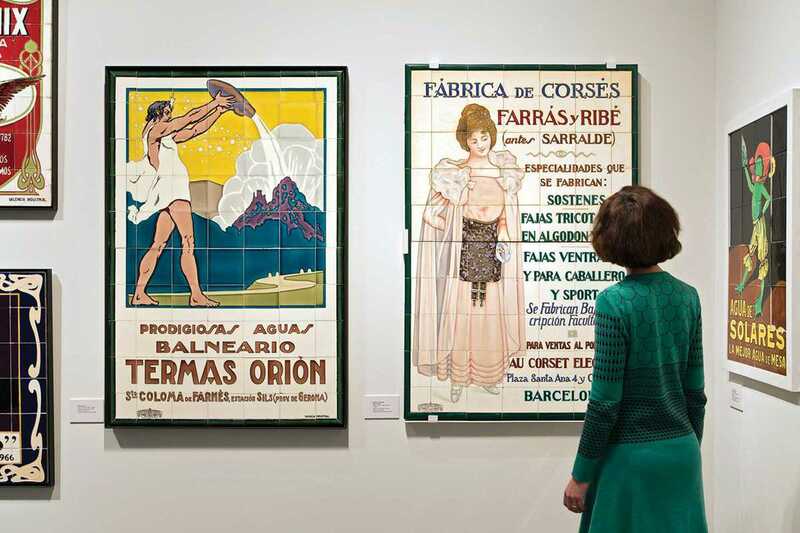 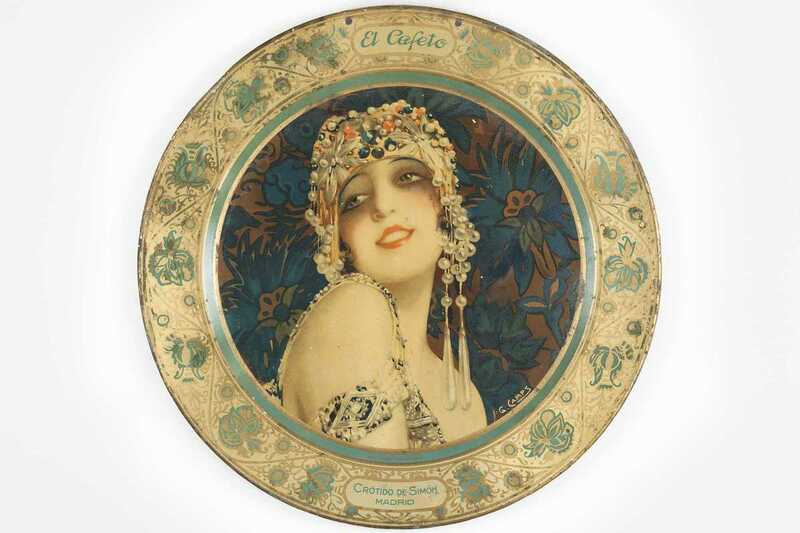 But beyond nostalgia, these artifacts communicate the artistic and social dimensions of consumer culture in Barcelona during a period of accelerated industrial and economic modernization.